In last-nights dreams I dreamed of a gun I had with me. 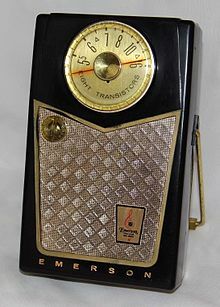 The gun was more like a 1968 transistor radio I once had, but clearly had a "shoot" button. 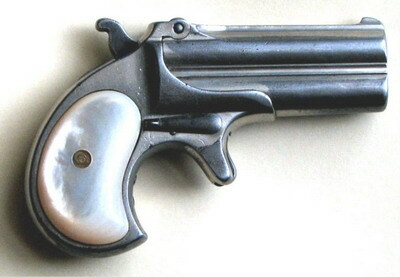 In a conversation a few days ago I told a work acquaintance about a car accident I was in as a child and how my grandmother had pulled out her Derringer handgun out and pointed at the guy who had hit us. I'm assuming that this was the reason for the gun in my dream last night, for I felt guilty about talking about this incident and how my grandmother had used racial slurs at the man in a Cadillac who hit us in the heart of Detroit. Obviously, he wasn't blue-eyes Scandinavian -- I might have shot him, just kidding, Hockey joke. The other part about this dream is that a guy who I'm no longer friends with because he is a still a racist and refuses to stop using racial slurs around me, has convinced me in my dream to kill someone. It's foggy, but the climax has me in a hotel room trying to escape without him seeing me. In the corner of my eye I see my ex-friend taking someone to dinner as I walk away. As dreams happen, a woman steps up beside me and we are walking. She peals away and I'm in a old brick building looking at a man entering us on a pole outside the window of the building opposite of us. It's a crazy art showing. The guy is talking but I'm not sure what he is saying. 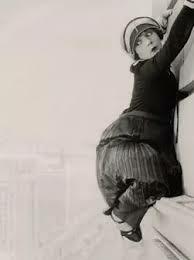 To get a better look I crawl out the window on a ledge and then have to crawl like hell to get back in. "One night, I dreamed I was a buttterfly, fluttering here and there, content with my lot. suddenly I awoke and I was Chuang-tzu again. Who am I in reality? A butterfly dreaming that I am Chuang-tzu, or Chuang-tzu dreaming he was a butterfly?"